from VIPs to humble travellers. The entire world meets here – and everyone has the same goal: quickly pick up one’s bag and get going. But it isn’t always quite as easy at that. Some passengers can’t shake the feeling that their bags are always the last. It can be enough to make a person blow his top. 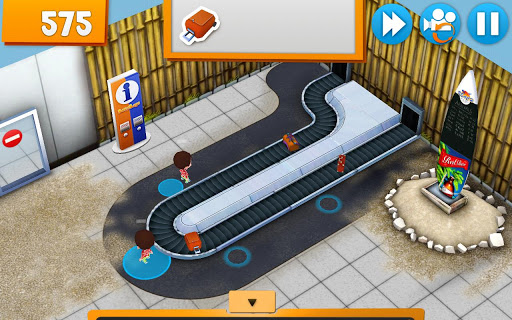 As soon as the planes have landed, you are responsible for ensuring that the passengers collect their luggage. The faster, the better. If people lose patience, it costs you valuable points as the manager. “Busy Bags” draws you into a vibrant 3D world with a nearly unmatched richness of detail. At higher levels, the colourful action will test the multi-tasking skills of even experienced gamers. Broken conveyors, moody divas, a flirt with the flight attendant or passengers upset by a turbulent flight. 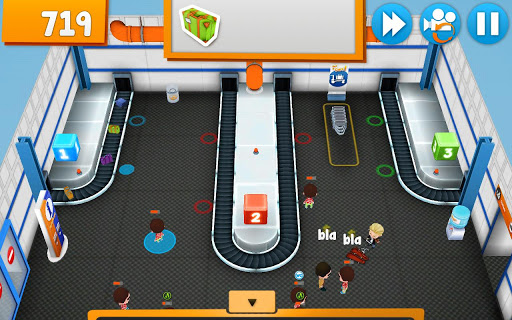 New features and tasks await at every airport. The wonderfully simple gameplay with an easy 2-tap mechanic is perfectly suited to casual gaming. But the high score will only go to whoever can succeed in pleasing all the passengers. It’s time to grab those bags!